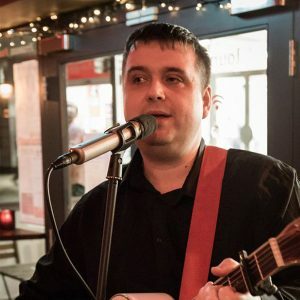 Tinny is an acoustic song writer from the North East of England, with strong influences ranging from Jimi Hendrix,The Beatles to the Manic Street Preachers. From being a child, Tinny always had a guitar in his hand. Starting to play guitar from the age of about 12 or 13 he has never put it down since. Tinny has played in many local bands (originals and covers) over the years getting a flavour for different styles, with this experience he has developed his own style. Playing in original and cover bands, some of Nigel’s most recognised were the Teesside band ‘The Passion Killers’ and ‘Lee Maddison’, playing a wide variety of styles. 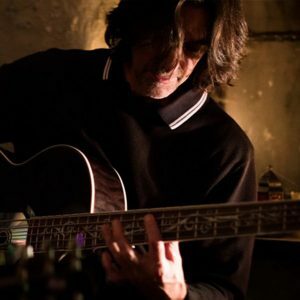 Nigel is a very versatile bass player taking his years of experience to create melodic and heartfelt structures, adding a beautiful flavour to the band’s songs.